Item condition: Used. Tested Working. THIS MOTHERBOARD IS UNLOCKED FOR GSM NETWORKS. ONLY COMPATIBLE WITH VS985 PARTS. Working 32GB main logic board off an LG G Flex D950 AT&TPhone. Working 16GB main logic board off an LG Stylo 3 M430 Cricket phone. Not unlocked. THIS BOARD IS ONLY COMPATIBLE WITH RS988 PARTS. Not unlocked.The pins on the SD Card reader are bent. The SD Card reader is still functional. WE CANNOT UNLOCK THE BOARD OR INFORM YOU IF IT CAN BE UNLOCKED. This is a used mainboard for the LG G6 H871. It has been tested and works without issue. This board is intended for the AT&T network. This board has no accounts or passcodes present. Working 16GB main logic board off an LG G Vista H740 Phone. Working 16GB main logic board off an LG K-20 M255 AT&T phone. Working 16GB main logic board off an LG Stylo 3 L83BL TracFone phone. Not unlocked. Working 16GB main logic board off an LG Fiesta 2 L164VL TracFone phone. Not unlocked. Working 16GB main logic board off an LG Tribute Dynasty SP200 phone. Not unlocked. Working 8GB main logic board off an LG H634 Phone. Not unlocked. 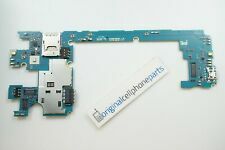 Working 16GB main logic board LG Stylo 4 LML713DL TracFone phone. Not unlocked. This is from a Sprint LG V30 (LS998). This has been tested as good and working. We are happy to help. Working 16GB main logic board off an LG Phoenix 3 M150 phone. The carrier information is unverified. Working 32GB main logic board off an LG G5 AS992 C-Spire phone. This is from a Sprint LG G Stylo 2 (LS775). This has been tested as good and working. We are happy to help. THIS MOTHERBOARD IS INTENDED FOR THE AT&T NETWORK. WE CANNOT UNLOCK THE BOARD OR INFORM YOU IF IT CAN BE UNLOCKED. This is from a Cricket LG Fortune (M153). This has been tested as good and working. We are happy to help. This is from a Tracfone LG Grace (L59BL). This has been tested as good and working. We are happy to help. This is from a Vodafone LG X Screen (K500N). This has been tested as good and working. This is from an unlocked LG Google Nexus 5X (LG-H790). This has been tested as good and working. We are happy to help. THIS BOARD IS ONLY COMPATIBLE WITH LS992 PARTS. Working 128GB main logic board off an LG V30 LS998 Sprint phone. Not unlocked. Working 16GB main logic board off an LG Harmony M257 Cricket Phone. Not unlocked. THIS MOTHERBOARD IS INTENDED FOR THE VERIZON NETWORK. This is from a AT&T LG G5 (H820). We are happy to help. Replacement motherboard for LG K30. Clean IMEI and ready for activation on t-mobile. Carefully tested to ensure full functionality. All of our parts ship from our warehouse here in California. Orders placed before 12:00 PM PST will be shipped same business day. All of our parts come with a 30 day warranty. Please test all parts prior to installation. Thank you for shopping! Since the motherboard allows your CPU, RAM, and other critical computer hardware components to communicate with each other, it is an essential part of your computer, smartphone, television, or other electronics. If you are planning to build a phone from scratch or need to replace a broken part, purchasing a new or used LG motherboard on eBay comes in handy. Here's is everything you need to know. How do you find a compatible LG motherboard? Product type: Make sure you have an LG motherboard for the right product type. LG produces everything from mobile motherboards to TV motherboards, so be sure you look at the right product for your device. Model number: Look up the model number for the original motherboard for your product and check to make sure it matches up with the product you consider on eBay. RAM: Some LG motherboards only support 32GB RAM or 16GB RAM, which means you may need a special motherboard for products with higher levels of RAM. Phone type: The LG motherboard needs to be specific for your phone type to ensure that the dimensions work. Should you get a locked or unlocked LG motherboard? When shopping for affordable LG motherboards on eBay, you might end up wondering if there is a difference between locked and unlocked products. If the product is locked, that means the manufacturer may have made it hard for the product to work with any carriers or electronic components not specifically intended for that LG motherboard. The LG motherboard price for a locked product is generally a little lower because its uses are limited. However, if you want to use the LG motherboard in ways not intended by the manufacturer, an unlocked one is easier. It is also technically possible to unlock a motherboard, but that is relatively challenging. How are used LG motherboards different from new ones? 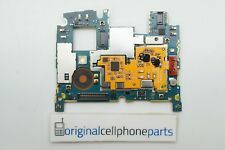 A used motherboard removed from a phone or other device is made specifically by the original equipment manufacturer for that product, so it is certain to be compatible. Since LG motherboards are not a storage device, there will not be a lot of old information stored on the motherboard, and it should function like a new one. However, some LG motherboards may display physical signs of wear. They are typically more affordable than new LG motherboards, so shopping for a pre-owned item on eBay can help you to save money on your LG hardware.